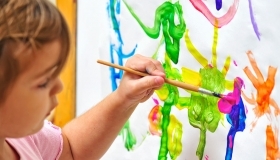 Find out what the difference is between a daycare,a preschool and a Montessori school. Find out more on why you should choose Green Children’s House. Enrollment is just a few clicks away! Our mothers, grandmothers, aunts or other female spends the morning with their child sipping tea and doing lessons and crafts. Summer Camp at GCH is full of fun, adventure and learning.